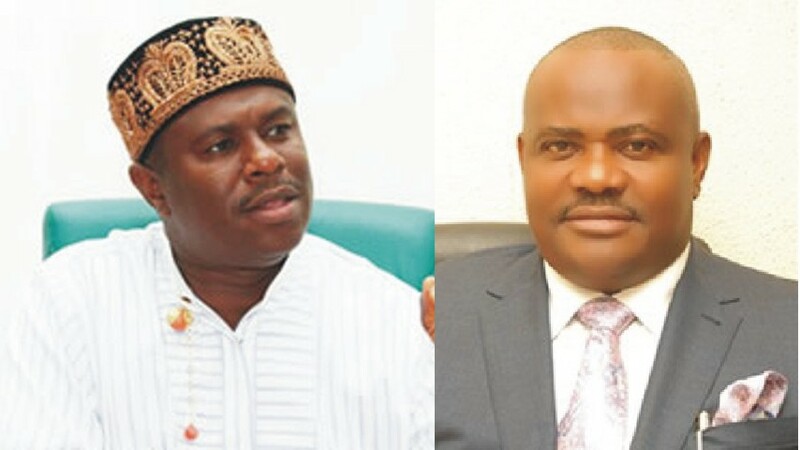 APC kingpin, Dakuku Peterside, Director-General of the Nigerian Maritime Administration and Safety Agency, NIMASA, has alleged that the Rivers State Governor, Nyesom Wike was behind the current campaign for the scrap of Special Anti-Robbery Squad, SARS, #EndSARS of the Nigeria Police Force. Speaking in Lagos State, the former All Progressives Congress, APC, governorship candidate in Rivers State said SARS officers in Rivers State were doing well. According to Peterside, rather than disband SARS, the agency should be strengthened to function better. “Rivers State is number one in high profile crimes of murder, kidnapping and robbery and the state government may have become uncomfortable because of its inability to influence and control the police. “Some people are obviously benefiting from the criminal activities that SARS officers stand against. I support the good work of SARS and I wish the agency could be re-organized and strengthened to function better. “It’s a campaign championed by Governor Wike. In every society, without the police there can be no law and order and consistently for the past 18 months, Rivers State has occupied number one position in the area of violent crimes. “Several have been beheaded especially in areas like Omoku and Ahoada. “Recently a lady lawyer, Mary Obe was killed because she was pursuing a case on those who killed her brother. Her brother, Edwin Obe was killed earlier in Eleme part of Rivers State.